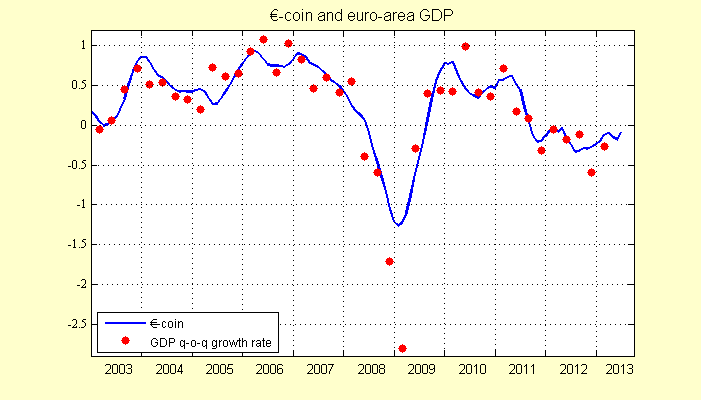 Euro area GDP continues to fall compared to the same period in previous year according to data just out from Eurostat. After dropping 1.1% in Q1 compared to Q1 2012, GDP in Q2 fell 0.7% on Q2 2012. 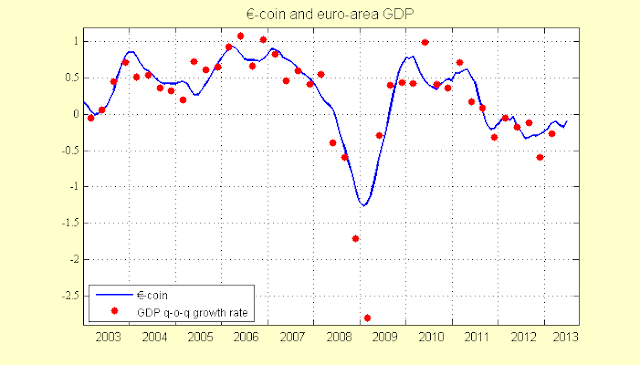 GDP for Q2 did however grow a marginal 0.3% compared to Q1, bringing the euro area out of "recession". Do however remember the nonsense of GDP (here). Don't buy the propaganda? You are not alone - even Goldman said to not take the data at face value: "The solid Q2 GDP print should not be taken at face value as it partly reflects a “statistical payback”. Moreover, the weakness in French investment spending is a reason for caution. More generally, the Euro area still has to cope with balance sheet adjustment required in both the private and public sectors, and continuing fiscal austerity will continue to weigh on demand for some time to come." We give Europe at most two quarters before the net foreign capital rotation fades and the continent reenters an unprecedented triple dip "recession." The Banca D'Italia €-Coin Index for July, which attempts to forecast quarter on quarter percentage changes in GDP, suggests no imminent improvement in GDP for the next quarter. It also suggests the slight improvement in the July forecast benefited from survey improvements for households and firms and an "easing of tensions in the financial markets". The financial markets could however quickly tighten again as any improvement is fragile since the euro area debt problems are becoming worse instead of being solved. Whatever the trigger, political and/or financial, a correction in the U.S. stock market could very well be the trigger leading to increased "tensions" across the euro area once again.